Locating and segmenting anatomical structures such as the heart, vertebrae or different regions of the brain in an image is an important step for many clinical applications, including visualization, surgical planning and dose radiation therapy. It is also an important tool in order to obtain quantitative measures for diagnostic purposes. We are interested in, for example, finding biomarkers for determining the risk of myocardial infarction. The rapid development of techniques for producing medical images, like magnetic resonance imaging (MRI), computed tomography (CT) and ultrasound, has enabled high-resolution and fine-detailed 3D images of the human body. This opens up new ways to diagnose and understand diseases, but the technology also creates new challenges. There is a great demand for automated methods as manual analysis is time-consuming and quickly becomes infeasible. To meet this demand, this project aims both at the development of general theory and methods, and at the solution of concrete applied problems in close collaboration with clinical experts. Markov Random Fields (MRFs) have proven to be a very useful modelling tool for medical image segmentation. However, for complex MRF models the inference problem is very challenging. We address this problem by building a framework based on submodular relaxations. By using guaranteed approximation algorithms we hope to achieve a golden mean between the quality of the computed solution and tractability. 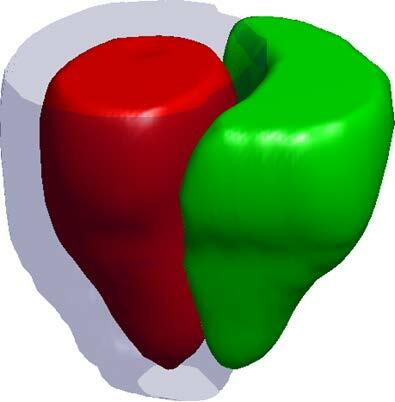 nd low-dimensional geometric models that are well suited to model global biological shape variations and transformations. In order to successfully apply such models, it is necessary to cope with abnormalities and outliers in the data. A goal for this project is to develop exact algorithms for robust tting but also approximation algorithms suitable for higher dimensions and large-scale problems. 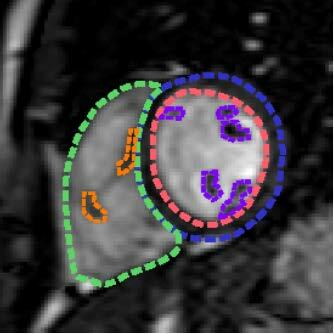 Figure 1: Cardiac segmentation in MRI (left) and a whole-body PET/CT scan (right). The Swedish Cardiopulmonary Bioimage Study (SCAPIS) aims at collecting CT, MR and ultrasound images of 30 000 individuals for studying heart, lung and cardiovascular diseases. In connection with this project there is a great need for automated segmentation methods in order to find biomarkers that can be used to predict the risk of future disease. Another application that we are especially addressing is cancer metastasis detection. In this case the input data is full-body CT and PET scans. Metastases are typically visible as high-intensity regions in the PET images. However, there are other structures such as liver, joints and the urinary bladder that give a strong response in the PET images. 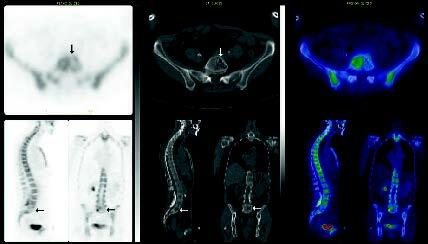 Therefore, to reliably detect metastases, one first has to perform an accurate multi-organ segmentation of the CT image. Dr. May Sadik, Sahlgrenska University Hospital. P. Strandmark, J. Ulen, F. Kahl, Shortest Paths with Curvature and Torsion, International Conference on Computer Vision, Sydney, Australia, 2013. O. Enqvist, E. Ask, F. Kahl, K. Åstrom, Robust Fitting for Multiple View Geometry, European Conference on Computer Vision, Firenze, Italy, 2012.